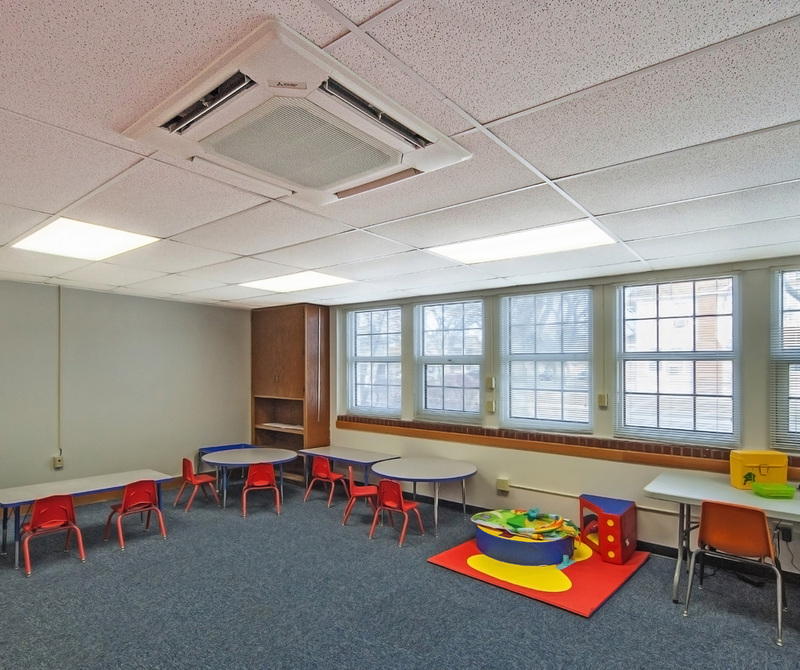 The HVAC system at Central Elementary School in Kansas was noisy, inconsistent, and distracting for students and teachers. 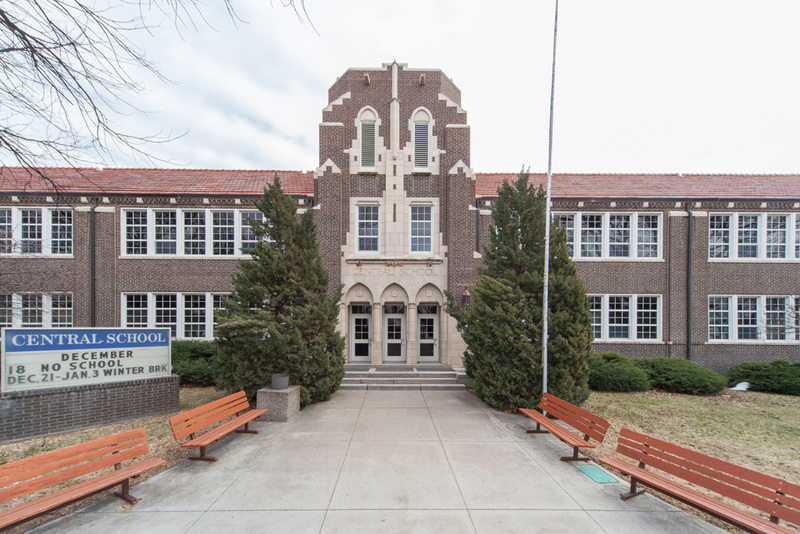 As the educational facilities within Kansas’s Dodge City United School District aged, teachers and students noticed the impact the buildings’ noisy HVAC systems had on the overall classroom experience. The district decided to solve the problem by equipping the schools with sustainable HVAC systems using geothermal technology. The energy efficient solution is expected to provide students with a better education experience, via a quiet environment, while simultaneously reducing the district’s utility bills. With 10 schools to renovate, the district opted to work on one facility per summer. In 2012, they set their sights on Central Elementary School, a 3252-m2 (35,000-sf) building located in the center of Dodge City. For Central, the goal of saving both money and energy turned the district’s attention toward pairing water-source variable refrigerant flow (VRF) and geothermal technology. The energy-efficient and discreet operation of VRF would offer the school reduced energy usage and increased comfort for students and teachers. Drew Rose, an electrical engineer with Wichita-based Integrated Consulting Engineers (ICE), served as the project manager and designer for the project. He cited the importance of zoning and control in achieving occupant comfort and operational efficiency. The facility’s new water-source variable refrigerant flow system was installed over the summer break and operational by the time classes resumed. Chris Meyer, the district’s maintenance manager, praised the easy installation of VRFs when compared to other options, especially when putting the system in an existing building. “Some of the walls in Central are up to 0.6 m (2 ft) thick, so getting ducts through the walls without damaging the structure would have been impossible,” said Meyer. The installation team began work over the summer break. The HVAC system was installed and running by the time classes resumed in August, to the joy of students and teachers alike. Companies that install ventilation systems should make large discounts for state buildings, such as schools, hospitals or police departments. Why is there no law in our country that obliges entrepreneurs to make discounts for work for state enterprises? After all, private companies do it better. There are of course many contractors who can make discounts of 10-20 percent for the work by arrangement (I found such ones on the site: https://servicewhale.com), but at a price of 10,000 per one HVAC for house, I can not imagine how much the ventilation system will cost in the school.